Need an Account? Click here.Forgot Password? Click here. Free Shipping On Bulk Ammunition & All Firearms! Technology is the lifeblood of Federal® Ammunition since 1922. That’s when founding president, Charles L. Horn, started a culture of innovation that has guided everything Federal® has done for nearly a century, turning a company that began humbly in Anoka, Minnesota, into one of the world's largest producers of sporting ammunition. Federal® has developed thousands of specialized, high-quality shotshell, centerfire and rimfire loads for hunters and shooters. It’s instilled manufacturing and quality control processes that have made Federal® ammunition the most trusted in the industry. Every day Federal® manufactures products to enhance customers' shooting experiences and provide an ideal choice for any pursuit. It's what makes Federal® the most complete ammunition company in the business. Federal Ammo In Stock Now at Target Sports USA! 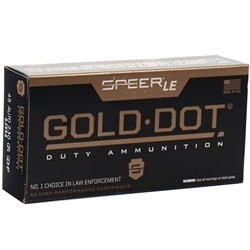 FREE SHIPPING ON ALL BULK FEDERAL AMMO AT TARGET SPORTS USA! We are easy to reach! Get The Latest Deals & News!